Doing a home extension or designing project without a reliable home extension designer could lead to disappointing, costly and potentially disastrous consequences. Extension designers bring a wealth of skills and knowledge to ensure all aspects of remodelling and designing projects go smoothly without any issue. If you talk with any homeowner who’s tried to do an extension project on his own, you’ll likely hear them saying that in hindsight, they would have been better off hiring an experienced and professional draft extension designer. 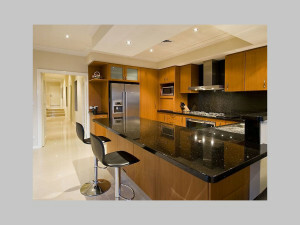 If you’re considering or planning a home designing or extension project, you should speak to our experienced professionals who will provide quality and expert home renovations and extensions. 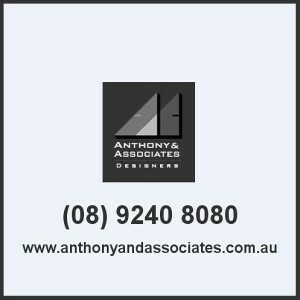 Why hire our building designer services? Even in the case of a small project, once you open up the walls, problems arise that can only be handled by a professional designer. The reality is designing and/or extending your existing space is far more complex than you may first believe. You need someone who has proficiency and experience with these projects. Here are common benefits that you’ll derive by hiring our expert building designers. The way structural choices could impact the installation of the mechanical system isn’t known to homeowners. Also, you may not know about options for new technologies or materials that might be better, cheaper or more appropriate than what you might be familiar with. Figuring out those things takes substantial time and education and requires professional expertise. Awareness of the pitfalls that may occur only comes from experience. Awareness of these prevents costly mistakes (both in monetary terms as well as length of time to rectify these errors).You may not have enough time to locate such materials and technologies. This can adversely affect the quality of your home design project. A skilled building designer at our company will have this important information ready for you. Whether it’s materials or technology, we’ve done all the homework beforehand. Consequently, a lot of time is saved for you on planning for materials, technologies and related chores. A home extension designer at our firm will not only translate your specific requirements into not only functional spaces but also with appealing, attractive designs. Our designers are consummate three-dimensional thinkers. They’ll utilize their expert unrivalled abilities to identify special opportunities in a design that might not be well-understood in two-dimensional drawings. Also, we’re always keeping up-to-date on latest trends in local as well as international designing. If you love to have a space that has a lasting appeal and adds value to your investment, you’ll need a professional designer. Our company has exceptional building and home designers. We have the necessary skills and ideas to add the features that will maximize the functionality and aesthetic of your home while ensuring your renovation and design project runs smoothly. The world of home designing has grown exponentially with almost unlimited opportunities for building and home extension designs. Whether it’s a more conventionally built home or modern one, there are designs and extensions projects for all types of homes. However, homeowners may not be aware of the latest additions to the home design industry like a professional draft extension designer. This is where our company steps in to help out. Our designers keep themselves educated and updated with latest designs in the industry. Also, they are aware of newer trends that are emerging all over the world. As such, you could get the most sophisticated and latest designs for your home designing project by working with our company. Many homeowners go for a DIY project on home designing. They may hire a draft extension designer for designing and other contractors for building chores. However, some of these contractors may produce substandard or unprofessional work resulting in inferior, undesirable, or less pleasing extension design. The reason is the designer may limit his services to designing. On the flip side, other contractors will limit their work to construction. There’s a lack of seamless communication and exchange of thoughts between various professionals that you hire, which greatly affect the work quality. When you hire our services, we’ll send a complete team for your project. Whether it’s designers or servicemen, we have a comprehensive team to complete your home building or extension project. No matter the size or extent of the project, we have everything covered in one package for your home extension and design project. In case you’re having issues with contractors on the project, it might be difficult to verify that they’re properly carrying out the project work in a professional manner and in accordance to industry standards. You could even have problems figuring out which contractor is responsible for a particular issue. Also, it’s hard to ascertain where the responsibility of one contractor ends and the other starts. In our many years of experience, we have seen building and extension projects improperly constructed or errors overlooked early in the process, which affects the contractors later in the job. If an earlier contractor has left the improperly completed job for another job, it’s difficult to get him back on-site to rectify the mistakes. Plus, it’s expensive for new contractors to rectify the mistakes of others. When you hire our company, we’ll advocate for you. The whole process of designing and extension will be monitored by our building designer team. Any mistake will be identified in the first place, and every issue rectified in a timely manner, saving you immense financial and emotional stress in the future. In this way, we’ll ensure that the final project is completely professionally as required. Many people start the building design project on their own to save money. However, due to lack of knowledge and experience, many building and extension projects can end up costing far more than expected. The truth is extending or designing your home requires thorough planning and expertise. Without this, DIY builders and renovators are very likely to make costly mistakes that lead to an unprofessional and substandard result. You will avoid any such situation by hiring our company. Our designers have years of experience in designing all types of homes. Whether you want a traditional design or contemporary one, they will be able to meet all your expectations and achieve an exceptional building or extension design. Also, our building and home extension designers have numerous contacts with material suppliers as well as other services and accessories needed to complete your dream project. As such, we can save you significant amounts of money on materials and accessories by ordering them in the right quantity from the most cost-efficient suppliers. With reduced wastage and competitive purchase, we’ll additionally save enough money on your project. Home extension and designing projects can take a toll on any homeowner. You have to expend a lot of time and efforts to ensure your structure is designed as per your imagination and needs. 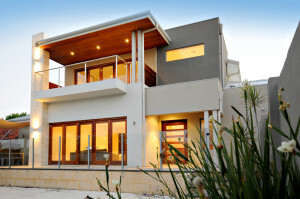 The good news is you may ease this herculean task by relying on a reputed home extension designer in Perth. Just call our company for your home extension/designing project, and we ensure our best services at the most optimal cost.